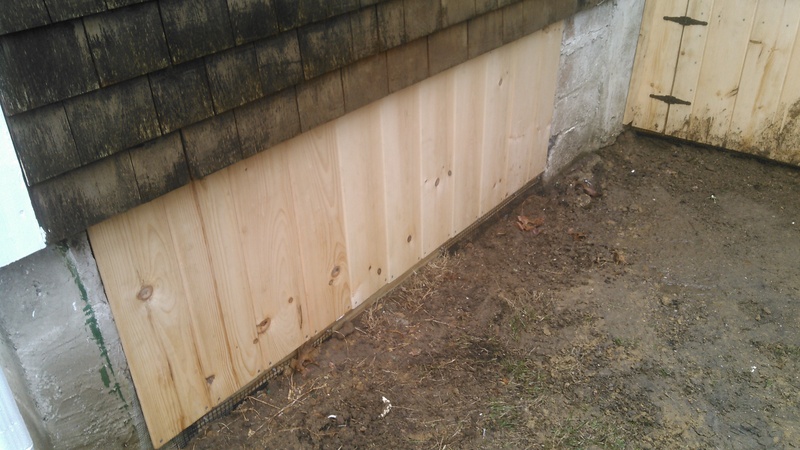 Have you ever had those pesky skunks living under your porch? You know the one that occasionally sprays your dog. Or how about a fox and her kits taking up residence under your shed and keeping you from enjoying your back yard! 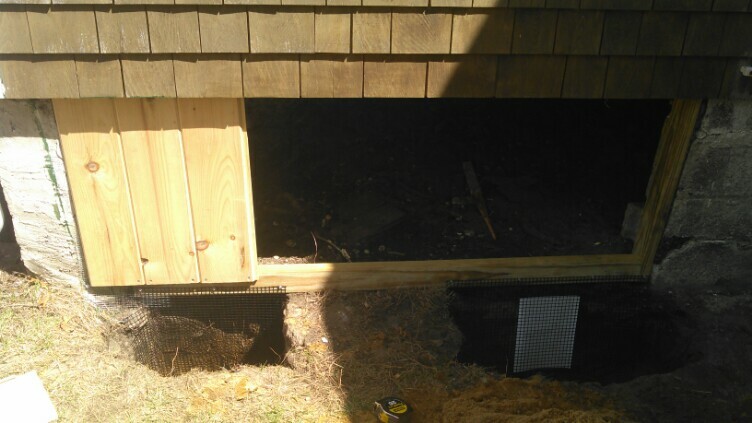 Our trench prevention services will rid you of critters that take up residence under structures such as porches, decks, garages, sheds and even your home. 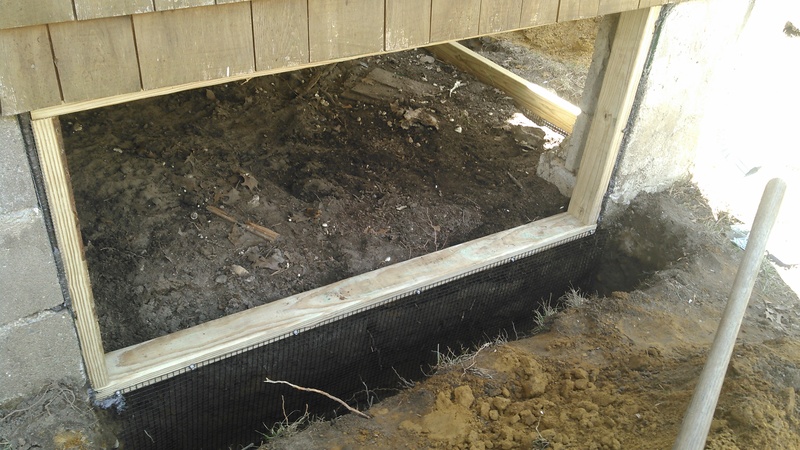 Trench prevention is our way of keeping any type of burrowing animal out from underneath certain structures. It allows us to give our customers a long term solution to a problem that for many years was controlled by simply trapping. Trapping these animals is still widely used by professionals in our industry and is often used by Precision Wildlife in combination with trench prevention. Our trenching services come with a written warranty of 2-5 years. 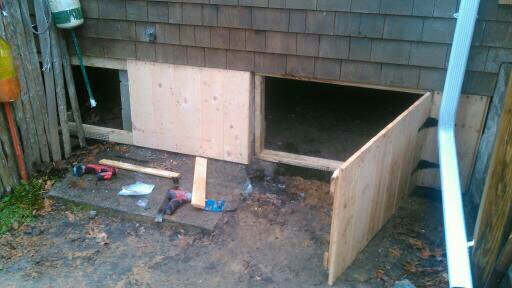 "The Green Wildlife Approach" - We often use one way exclusion doors with trench prevention for these nuisance animals and can eliminate the trapping all together. This is only done during certain times of year when we are sure there are no young involved. Trapping services alone are readily available from Precision Wildlife, but we can assure you that if it is a structure of some type the wildlife is being removed from then new wildlife will return if certain precautions are not taken. Animals leave behind certain scents that attract other animals to the area therefore enticing them to take up residence in a newly vacated den. So, they're not living in my house, what's the big deal? We understand! We know that nuisance animals are adapting to their new environments as we limit their already scarce resources needed for survival. It is our job to assess each situation and handle it in a proper manner - keeping wildlife and people in balance. Nuisance wildlife that has a den under a structure like your home or something close to your home can cause situations that are unsafe and more likely unpleasant. 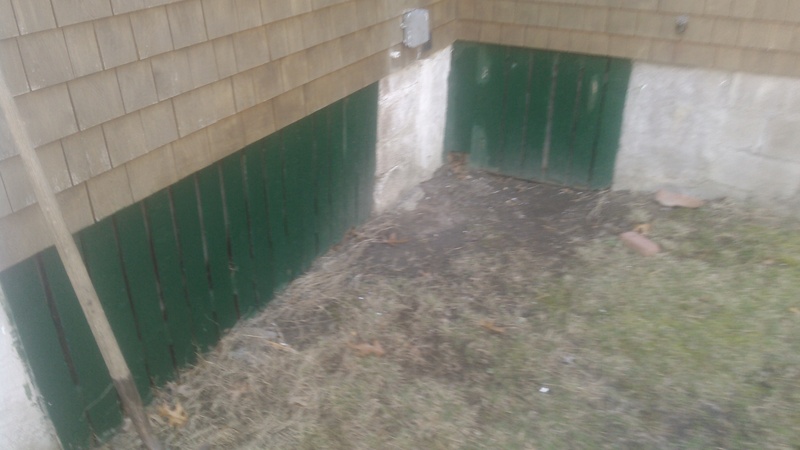 For example, skunks living under your addition with no basement is not ideal but not necessarily problematic. They go in and out as they need, they forage during the late night & early morning hours and occasionally spray when confronted or during mating season. I can live with that. "My house stinks like a skunk, we can't even stay there!!! How fast can you get here?" Usually this means you have a dead skunk under your house or a nearby structure. Skunks can die of many things. They can get injured by a car or another animal and wander back to its den for safety or they can die of natural causes. Whatever the case, these situations are never pleasant. Remember that hole going under your house you thought something might be using? Well now we have to find a way to remove that dead skunk and deodorize your home and the areas affected. A circumstance that could have easily been avoided if you had only been informed of the benefits of trench prevention and proper wildlife management. The completed and protected project!